-C. didactylus is known as a pygmy anteater (Nayga and Montgomery 2012). -It usually eats 700 to 5,000 ants a day (Hayssen et al. 2012). -Its food, energy, and water requirements are one-third to two-thirds less than expected for a mammal with its body size (Nayga and Montgomery 2012). -It carries its young on its back (Hayssen et al. 2012). -There are seven subspecies of Cyclopes didactylus (Hayssen et al. 2012). -It can spend its whole life in trees (Schober 1999). -The average life span of C. didaactylus is 2.3 years (Schober 1999). 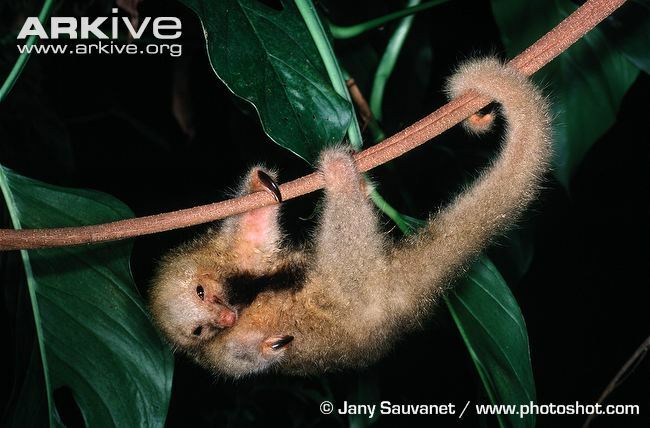 -Cyclopes didactylus refers to its ability to almost encircle a branch with its feet, and also its two toed front feet. Cyclo- circle Pes- feet (Hayssen et al. 2012). -Its tail is usually longer than its body (Hayssen et al. 2012). -Called “poor-me-one” in Trinidad because it was mistaken to sound like a sad human voice, but the sound was really coming from a bird (Catchpoole 2012). -It is the smallest of four anteater species, weighing around 14 oz. (Catchpoole 2012). -Its sense of smell is up to 40 times better than humans (Catchpoole 2012). -It was named in 1758, by taxonomist Carolus Linnaeus (Catchpoole 2012). -For more intersting facts about Cyclopes didactylus, please visit this website. Keep on going to our References!